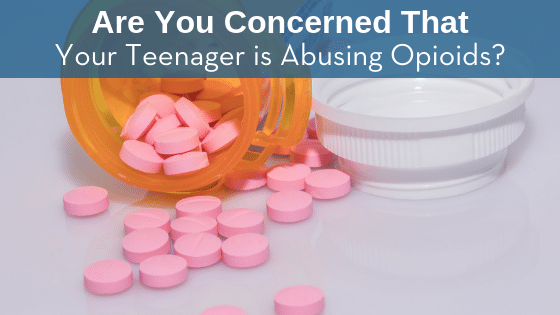 Is Your Teenager Abusing Opioids? As the opioid epidemic rages on teens remain at a higher risk. According to the National Institute on Drug Abuse (NIDA), seven out of ten teens who abuse prescription opiates will mix them with other drugs and alcohol at one point. Besides the obvious danger, each substance enhances the effects of the other, including the liver’s ability to manage the process of detoxification. These signs are easier to spot but can also be signs of the flu or other illness. If you suspect or know that your teen is using opioids you may be at a loss about what to do and how to approach the situation. There are a few steps you can take to address this very serious problem. Understand that they might have a serious addiction. Due to the nature of these medications, your teen is at least physically dependent on opioids if they have been taking them regularly for a while. Obviously, the worst thing that can happen is dealing with a full-blown addiction that will require professional help. Becoming angry might be your initial impulse but remember that you are dealing with a fragile individual. You won’t get anywhere by yelling. Stay calm and listen to what they have to say. Be firm when discussing the consequences. Once you know for sure that your teen needs help, or they refuse to be forthcoming, find a professional for help. Start with a trip to their general physician and have them refer you to the proper healthcare sectors.